Enjoy your vinyl 33 and 45 rpm records with the black Pro-Ject Debut Carbon DC Turntable. It features an 8.6" carbon tonearm tipped with the Ortofon 2M Red cartridge. Its RCA output allows you to connect it to nearly any audio system through a separately sold preamp. Box Dimensions (LxWxH) 19.0 x 15.0 x 9.5"
Debut Carbon DC Turntable with 8.6" Carbon Fiber Tonearm (Black) is rated 4.0 out of 5 by 3. Rated 5 out of 5 by Ron from Great sound for the money. Well, I have had this turntable for a couple of weeks now.? I guess it comes down to "would I buy it again?"? The answer is yes.? The sound from this turntable is much clearer and brings out more detail than my previous (30 year old) turntable.? What I can't say is how it stacks up against some of the other offerings in the price range with out listening to them.? Even at this price point there are still compromises to be made.? It is a completely manual unit, also it does not have a built in pre-amp or USB port.? This is for the person that wants to spin an LP, sit back in their favorite chair and immerse themselves in the music. if your that person, the Pro-Ject Debut Carbon is worth a serious look. Rated 2 out of 5 by Mark from Poorly Designed Motor Suspension, to say the least... Returned due to excessive motor vibration. Also radiating AC hum into most MM cartridges. Check around online about these problems. They are very common to this model. Rated 5 out of 5 by Gelson from Rescuing old LPs I know and I believe, we are in digital times. There is no way back and I'm not concerned about it. However, I'm sufficiently aged to have accumulated, during my life, a lot of unique and non-digitalized LPs, put almost aside till I decided to buy the Pro-Ject DEBUT Carbon DC Turntable. There was like the rediscovering of old little treasures lost in time. 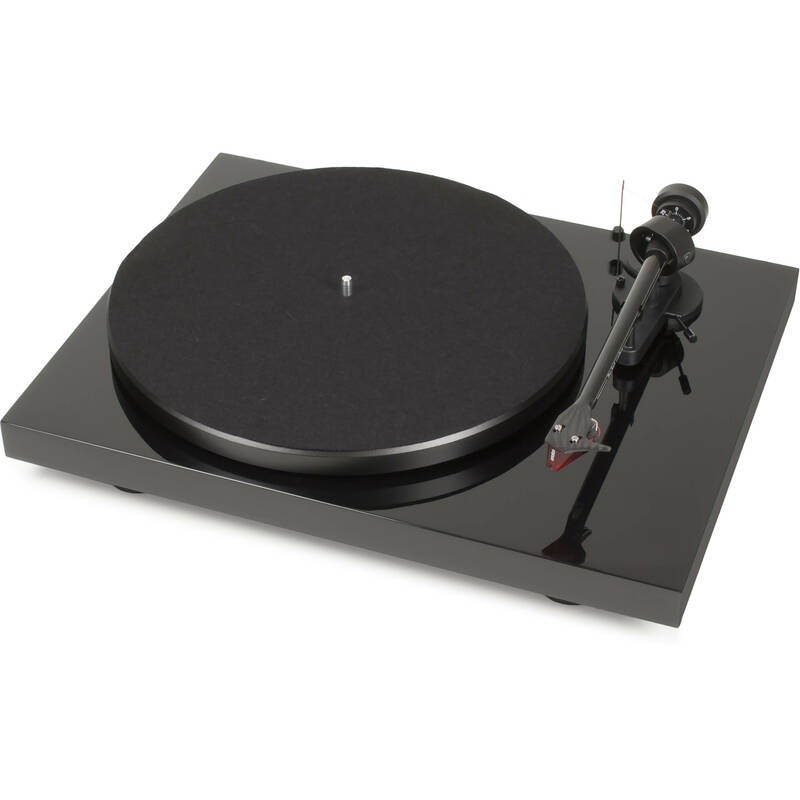 The turntable has an elegant and minimalist design. During operation, only the recoded matter. No hums, no background noise. Due to this minimalism, I only miss the lack of on-off indication. As reference, I stuck a small white dot on the side of the platter. I suggest B&H inform more data about the electric source, as input 100-240V, 0.5A and output 15V, DC, 0.8A and last but not least, 3 plug adaptors. The data are very important for purchasers from abroad, like me. What dust cover would go with this? A dust cover is included. Does this come with the RCA cables?